By the end of the season, Major League Baseball’s $300 million plan to bring Wi-Fi and DAS to every ballpark should be mostly complete, cementing the league’s title as the best-connected sport for now, and most likely for the near-term future as well. 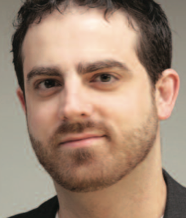 While other sports, leagues and conferences rely on individual teams, schools and stadiums to figure out their own budgetary paths to connectivity, MLB’s unique decision to foot a major portion of the networking build-out bill should reap dividends for fans, clubs, and all the parties involved in the business of in-stadium wireless, said Joe Inzerillo, the executive vice president and chief technology officer for Major League Baseball Advanced Media (MLBAM). 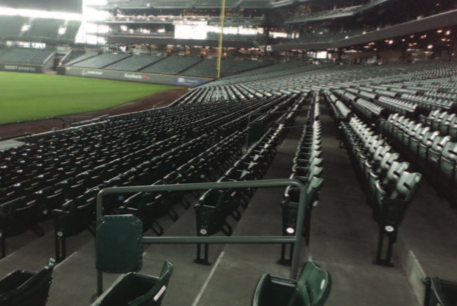 Editor’s note: This story is reprinted from our latest Stadium Tech Report, the BASEBALL (and Soccer!) ISSUE, which is available now for free download from our site. The report includes a focus on baseball and soccer stadium technology deployments, and team-by-team coverage of technology deployments for all 30 MLS teams — AND all 20 MLS teams. DOWNLOAD THE REPORT now and read for yourself! In somewhat curious fashion, Inzerillo and MLBAM pointedly do not provide specifics on the buildouts, which include both new Wi-Fi networks for parks that didn’t have deployments, and many upgrades for those that did. While Inzerillo did provide a short list of some of the new MLBAM-led deployments, including those for the Kansas City Royals, the Colorado Rockies, the Texas Rangers, the Houston Astros, the Arizona Diamondbacks, the Chicago White Sox and the Minnesota Twins, to find out others we had to call or contact teams directly. New networks coming in at St. Louis’ Busch Stadium and Milwaukee’s Miller Park are also MLBAM-led projects, according to sources with each team. So even though there is no master list of deployments, MSR research shows that by the end of the 2015 season all but two of the league’s 30 stadiums should have working, updated Wi-Fi and DAS deployments, with MLB primarily responsible for putting networks into eight of the 10 venues that didn’t have Wi-Fi as of last season. The two-year-plus plan also includes construction of multiple new or retooled distributed antenna systems (DAS) that ensure participation by all four of the major U.S. wireless carriers, since all four also contributed to the overall buildout budget. When asked for specifics on the amount that each entity – MLB, the carriers or the teams – contributed to the buildout pool, Inzerillo declined to give exact figures, other than the $300 million total. “The notion is, everybody has an interest in making sure the people attending the game are happy with their [wireless] experience,” said Inzerillo, describing the thinking behind the deal that brought together the league, the carriers and the teams. While some industry sources seem to believe that carriers and MLBAM footed most of the deployment costs, Inzerillo said all entities involved paid some share of the total bill. “It’s fair to say everybody has some skin in the game,” Inzerillo said. For MLBAM, the reason behind seeking a solid level of connectivity at all parks is clear, due to “Ballpark,” its league-wide single app for in-stadium use. Though its features differ slightly from park to park depending on technology deployments (such as beacons) and desired uses, MLB’s plans to monetize its own apps depend on their being reliable connectivity on hand – so instead of waiting for teams to get there on their own, MLBAM led the charge, a move Inzerillo said made sense for several reasons, including the ability to herd carriers together and to share rare expertise. If there’s a topic that scares stadium tech pros the most, it’s having to deal with all the major wireless carriers in negotiating DAS deployments. One of the top reasons some stadiums end up choosing a neutral host for their DAS is so that the neutral host provider can act as a buffer for the catfights that can occur between different carriers’ desires and needs. In MLB’s case, Inzerillo said MLBAM was that lukewarm water between the fire and ice. “We [MLBAM] are uniquely positioned to bring all the carriers together, and to give them a ‘safe zone’ to talk about potential issues,” Inzerillo said. Through its short history of supporting original team apps and then its own apps, Inzerillo said that MLBAM also gained a significant amount of internal telecom expertise, a resource not available to most teams. That said, Inzerillo is quick to add that without the teams’ help and internal expertise, the entire project probably wouldn’t have gotten off the ground. “We really couldn’t do this without the teams – there’s just a huge effort at each of the facilities,” Inzerillo said. The recognition of the local hard work, he said, is the main reason why MLBAM isn’t putting out a “master list” of its stadium upgrades – “It’s really a team story, and it’s something for them to tell their local markets,” Inzerillo said. And for all the focus on the latest Wi-Fi antennas and fine-tuned DAS gear, Inzerillo also noted that it’s the other end of deployment – the physical work of putting networks in – that is the hardest part of the puzzle to solve. “Things that can make or break a deployment are low tech,” Inzerillo said, claiming that half of the cost of any deployment is usually the labor to put it in. “Power, conduits and just knowing how to perform [construction] inside a ballpark cannot be understated,” Inzerillo said. That’s especially true when you are putting a network in a venue like Boston’s Fenway Park, which is not just old but also has historic construction parameters that need to be worked around. Even Coors Field in Denver, which is a baby compared to Fenway, was still “old” when compared to the era of cellphones, Inzerillo noted. “When it was built 20 years ago, there were no smartphones and barely an Internet,” said Inzerillo of Coors Field. So things like conduit easements, he said, weren’t anticipated, and added to construction costs. “Twenty years doesn’t seem old, but compared to technology changes, it is,” he said. And even though Inzerillo is eager to get to the end of the first long phase of deployments – he talked of “clearing the trees and getting ready to plant crops and tend the garden” – he also knows it’s a job that’s never quite over.